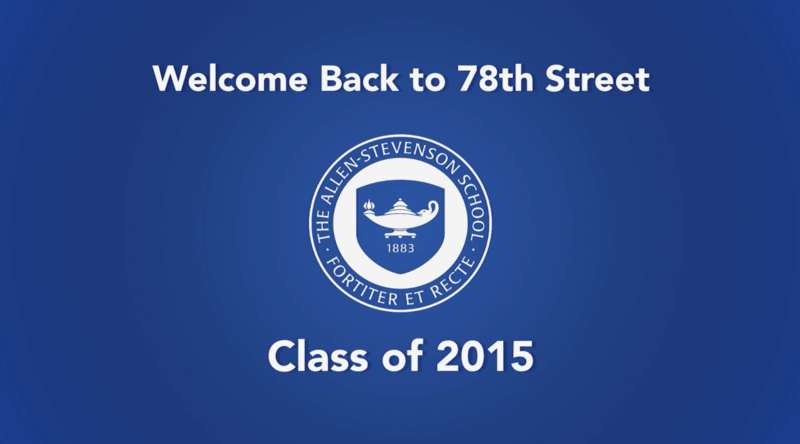 May 29 marked the return of the Allen-Stevenson Class of 2015 to 78th Street. At a party in celebration of their achievements since leaving Allen-Stevenson, happy classmates gathered in the Library with parents and faculty to reconnect and toast their next adventures. Mr. Kersey gave the class a warm welcome, and all enjoyed the opportunity to visit their beloved elementary school. One of the highlights was the slideshow – boys and parents alike loved seeing all of the pictures!